Open the terminal app in ubuntu and run (Type and enter) the below code in terminal. this will download PHP CS Fixer on ubuntu. then type and enter the below code. Type your ubuntu password. And then run the below command. 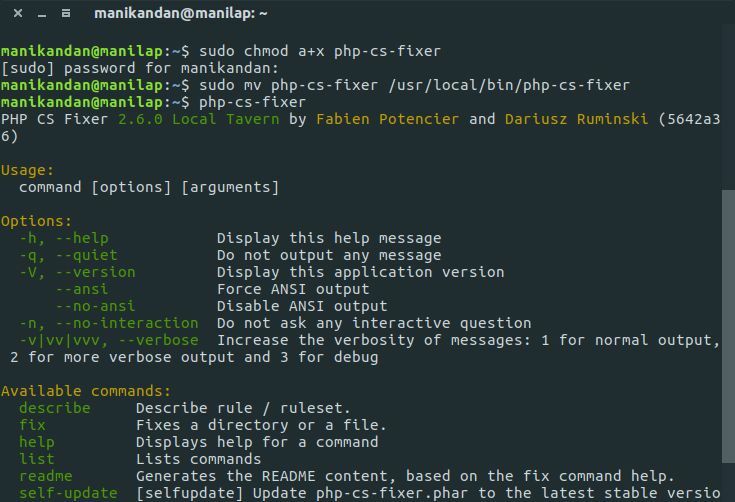 To run the PHP CS Fixer type and enter the below command. Then open the Atom text editor, in the editor click the Edit menu and select Preferences option. Then click the Packages menu option. In the packages search option type atom-beautify and hit the enter key. Atom beautify package will come under community packages category. Click the setting button under atom beautify. Under settings click the Executables option. Under Executables click the PHP-CS-Fixer and enter the php-cs-fixer absolute path.